You know you’ve always wanted to design a license plate… well, here’s your chance to see your work on the back of thousands of automobiles. 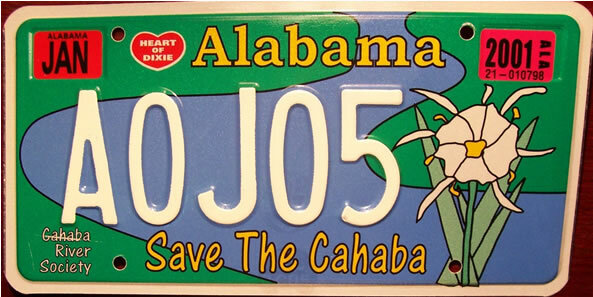 The Cahaba River Society’s license plate design is up for renewal and we’re helping them with the process. From earlier entries into the Great Big Discussion [see: GAP: Crowdsourcing or Damage Control, 10.7.10] you may have noted that we’re not huge fans of crowdsourcing… but this is an opportunity for our designer friends out there to have some fun. Here’s how it works: create your design and submit it via e-mail to dmonroe@cayennecreative.com by Monday, October 25 (yes, we know it’s short notice… but we all know that tight deadlines are often the crucible that produces strong work). Your submission can be rough… just know that if the CRS selects it you will have to tighten it up and have it ready by Thursday. Submit it to us as a .pdf. If the the CRS selects it we’ll have you prepare it according to the instructions below. You might be interested to know that the Cahaba River Society receives a income from each tag sold. 90% of that income goes towards programs such as the CLEAN Program, which helps introduce children to the sheer wonder of the Cahaba River. Note that on page 8 there’s a link to an Adobe Illustrator template… very helpful indeed! 1. If you choose to use the Cahaba Lily in your design, please make it accurate. The image in the tag above is not. 2. Simple design is better. 3. Think about what will make this tag stand out from the crowd and what you would personally want to put on your car. 4. There is a prize for the winning design… it’s called Bragging Rights.